APS stands for Advanced Payment Solutions, a global fintech payments company disrupting the traditional banking sector with its range of barrier-free credit and debit products. I've worked with APS on a range of its products and services, clarifying naming choices, reworking technical language for a consumer audience, and describing their solutions in a commercial setting. 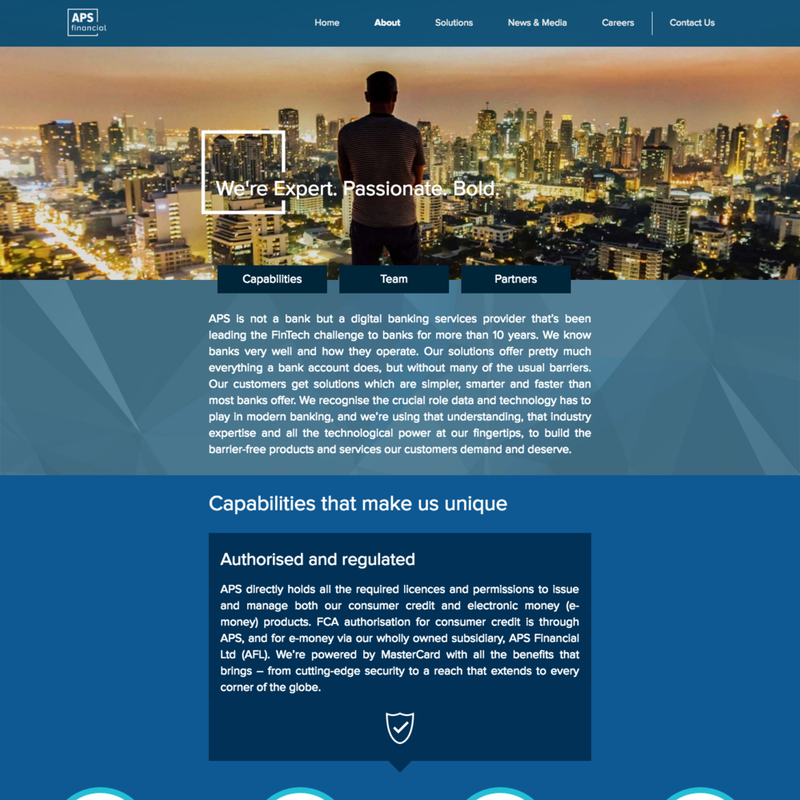 Most recently I worked to rebrand and rewrite the APS business website targeting consumers, business and the public sector alike. APS is FCA authorised and regulated and a principal member of MasterCard.